To be a one stop business icon offering a wide scope of activities where clients can invest into by providing them high quality work and satisfaction through managing the best choice, distribution and spread through the right channel. 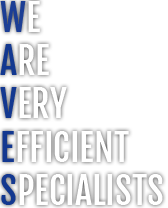 "WE ALWAYS STRIVE TO GO BEYOND CLIENTS EXPECTATIONS"
The main purpose of The Waves is planning and drafting clients' concepts into reality to guarantee the positive results by selecting the most suitable formula. Also, we ensure to develop our clients projects by providing highly qualified services and solutions with best value for money ensuring that affordability meets opulence, as well as to support companies in identification, creation in brokering and investments in the real estate fields through the best channel for achieving their objectives. "WE DRAFT YOUR CONCEPT INTO REALITY"
Expertise Specialty Management Team: We guarantee to choose dedicated professionls and highly qualified management and we outsource only the best, as we uphold a positive working environment that encourages flexibility and facilitates performance. Oppurtunities are always open to progress skills through professional development ,mentoring and training inorder to achieve the commitments to our clients and to asssure that their expectations are met with maximum satisfaction. Quality Policy: We are always open to any feedback from our clients regarding the quality of our services, flexibility, confidence, loyalty and value for money philosophy and reputation. We aim to develop our projects by management and quality experts to express the quality objectives of the Waves for long term strategic plans.